It’s only open during dinner time and closed on Mondays – very hard to place reservations. This petite restaurant is located on one of the quieter streets in Taipei, next to historic Japanese-built buildings around Chiang Kai Shek Memorial Hall. I’ve heard about this restaurant through radio stations, bloggers, and friends, all of which gave excellent reviews, or are desperately trying to squeeze in a spot on its open days. I have made around six failed attempts and finally got in without a reservation on a rainy Thursday night. For a fusion restaurant, the prices are friendly, around $10 per entree. The servers come around and explain in detail what each dish comprises. We ordered the special of the day: a garden salad, soup, and risotto. 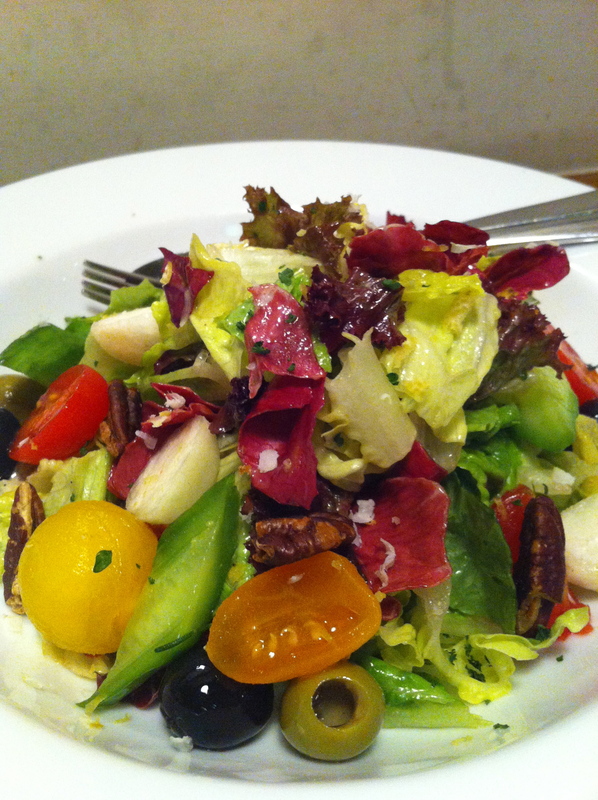 The Garden Salad is claimed to be the restaurant’s signature dish. The vegetables are fresh, with tropical Taiwanese fruits such as watermelon and guava. The taste was a little plain. 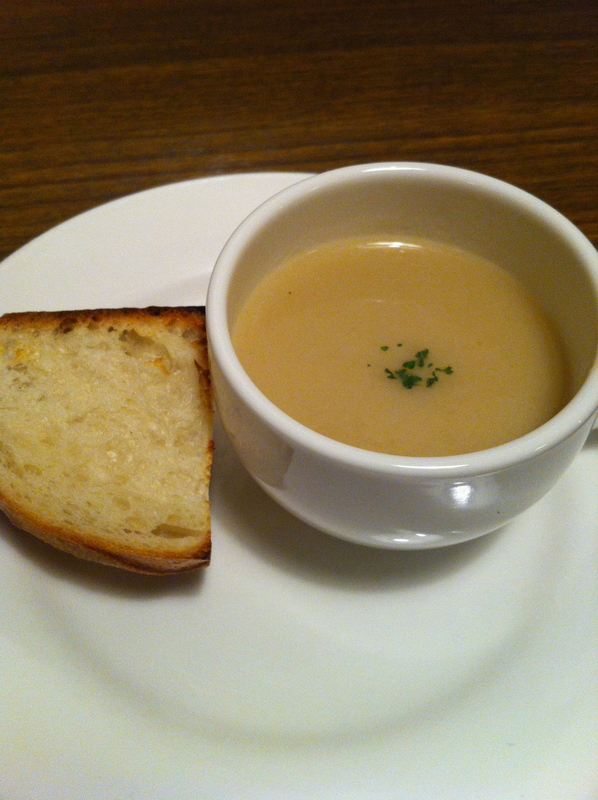 Caramel Onion Soup: It looks plain, but the texture was rich with unique layers of taste. It’s a bit on the sweeter side. My favorite dish of the day was the risotto. On the menu, it is called “Carrot and Apple risotto with mix veg, bacon and hash brown.” I’m sure everyone loves hash browns for breakfast, but not many have it on top of risottos. 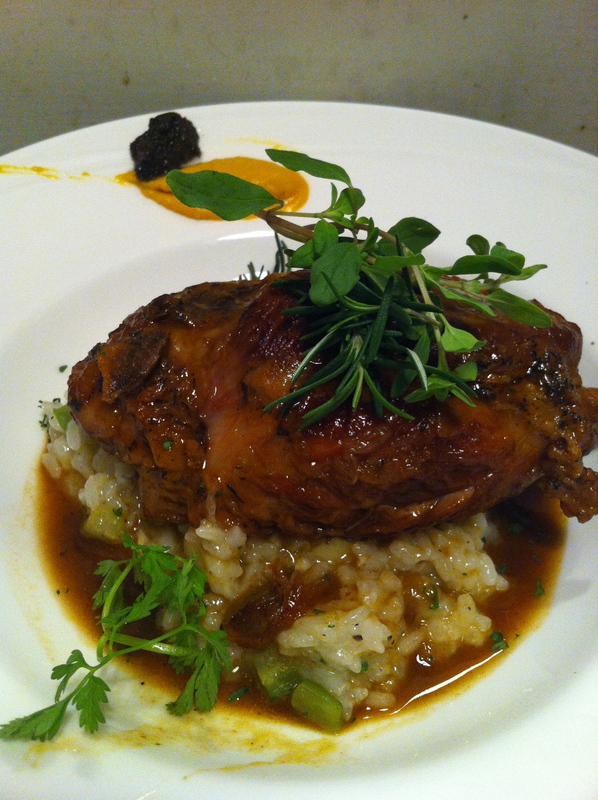 It is a crisp golden brown, and the creamy, slightly sweet risotto. The special of the day was Roast Pork with potato and squash risotto underneath. Overall, I think it’s quite worth the try. 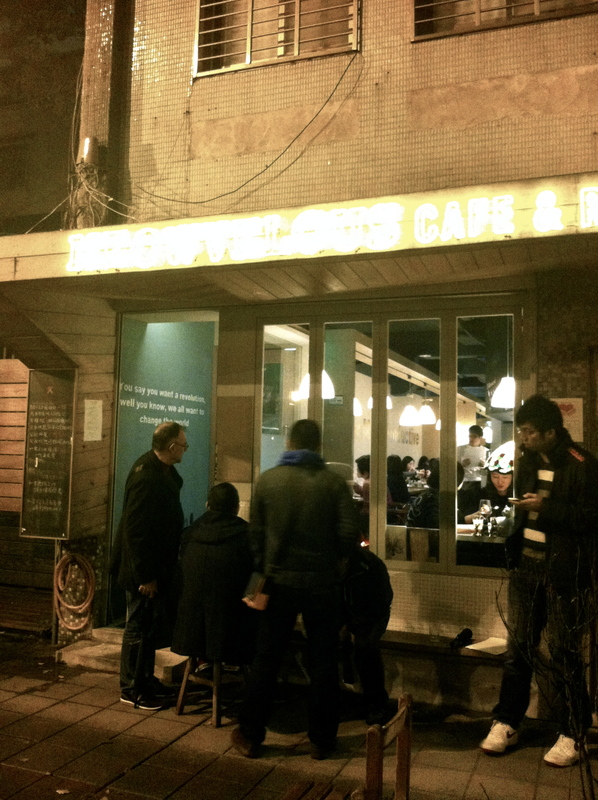 The atmosphere is cozy, a bit on the smaller side, suitable for minute gatherings or casual dates. 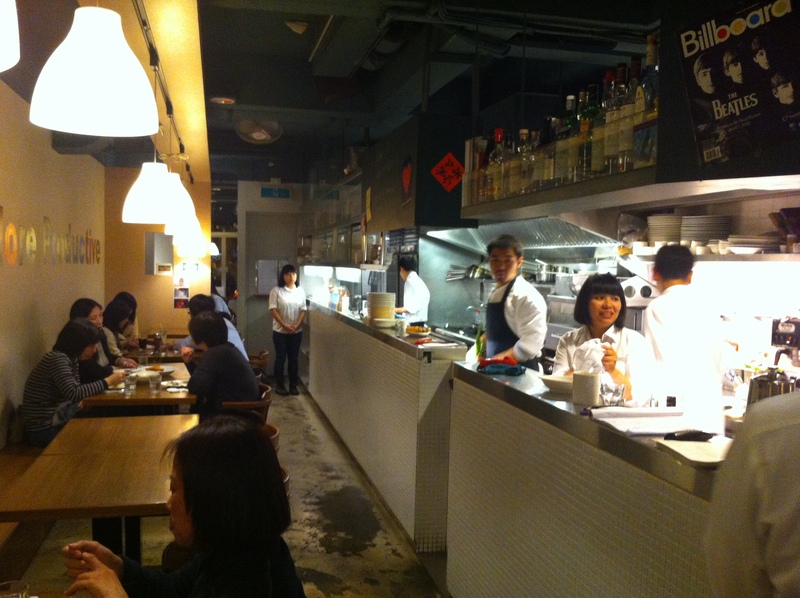 The open kitchen is modern and clean, featuring several young chefs, all of whom are professional and driven. If you got the luck and time, this innovative, tucked-away eatery would be the place to go in Taipei. This entry was posted in Taipei, Taste and tagged dinner, eat, food, fusion, meowvelous cafe, restaurant, risotto, Taipei, taiwan, taste. 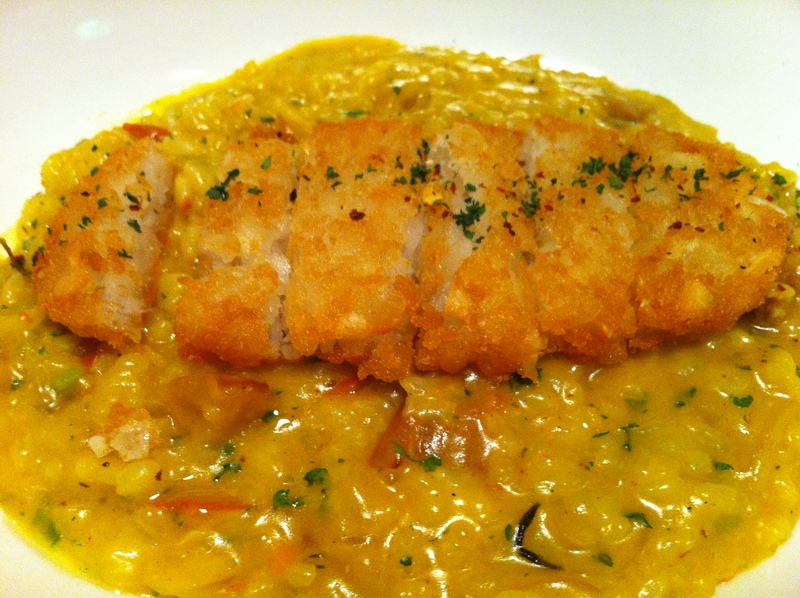 The hash brown over risotto looks delicious! I’d love to try both risottos! Definitely enjoyed your review. I will probably never get there so it is nice to see what others experience and enjoy in life. Good luck in finding your next temporary home.